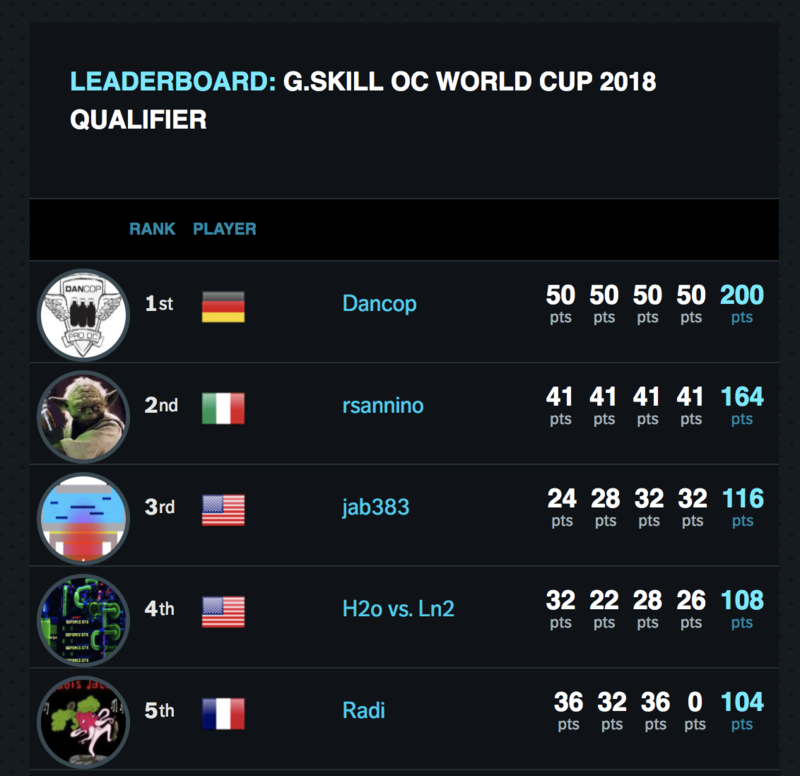 A little less than 11 days to go in the yearly G.Skill OC World CUP, and Dancop is taking an impressive lead by taking the first spot for every stage. With his Intel 8600K running at a whopping 7091Mhz, and his G.SKILL Trident Z RGB DDR4 running at 2530MHZ, there seems to be no stopping him. The top 6 will receive an invitation to join the live qualifier at Computex 2018, where the total prize pool is 20.000 USD, of which 10.000 USD for the winner. There is also a lucky draw between all participants for a set of G.SKILL Trident Z RGB DDR4-3600 2x8GB(16GB) memory, so any submissions counts!